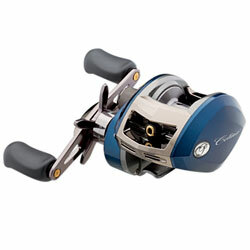 "Bought this reel as a cheaper alternative to the many Shimanos I have. It feels great reeling, very smooth but the casting distance is ridiculous." "I've neglected to write the review this really deserves. I have the 'Echelon' also and it's a decent reel, but lacks smooth cast control (braking), and at the time, this reel was only $15.00 more-now it's $25.00 more and still worth every penny! " "worst purchase ever. gears are clunkers, braking system is very poor. won't cast 60 ft with either 10lb mono or braid. either I got a manufacturers defect or if typical this is a joke." "this reel is super smooth and casts great! I bought the combo and it comes with a bionic blade pole and its sensitivity is spectacular and you can feel every little hit you get!!!!!!!!!"